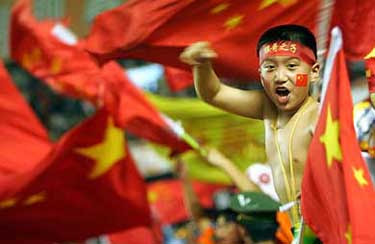 For the Chinese government, the Beijing Olympics are a big part of the country's emergence onto the international stage. It wants the games to be perfect - right down to the applause. So volunteers are being trained on the finer points of cheering, including when to clap and the importance of avoiding unsporting behaviour.